We have been discussing on topics related to setting up of different types of bookings like Single day bookings, Date & time bookings and Multiple Days suitable for various businesses with our Booking & Appointment Plugin for WooCommerce. Many times customers feel easy and secured to book the services manually rather than booking it online from the website. For manual booking, they either call on the phone number provided on the website or send email for the same to book the services. 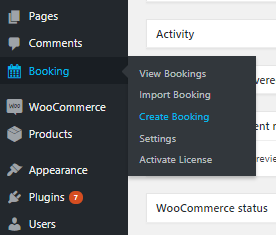 In this post, we will see how to create manual bookings with our Booking & Appointment Plugin for WooCommerce. Here, you can select from either a customer or a guest and select a bookable product from the existing product dropdown list. In this case, we have selected Kinjal Paleja as Customer and “Canon Camera” as a Bookable Product. 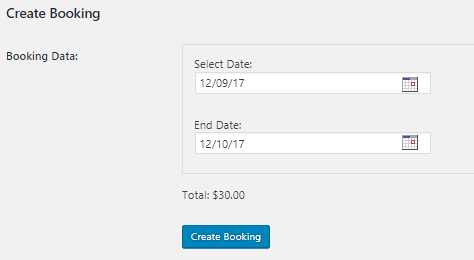 For the Create Order option we have selected Create a new corresponding order for this new booking option because we want to create this booking with new order. 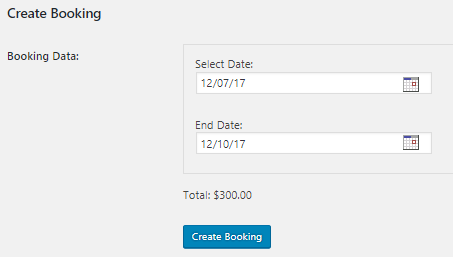 On clicking the Next button, you will be taken to the next page where you can select the booking details as per the availability of the product. As you can see in the below screenshot, Start Date and End Date fields are appearing because the Canon Camera product is setup with the Multiple Nights booking type. Once all the booking details are selected, click on Create Booking button. If everything is fine, then New Order will be created and you will be redirected to the created new order. If any error occurs during this booking process then it will redirect you to the Create Bookings page with the appropriate error message. If you notice in the above image, under Order notes section, it indicates this is a manual booking which was created on 2nd December, 2017. 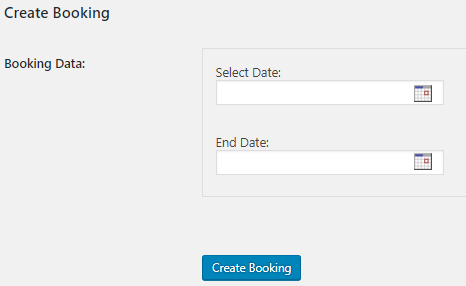 Now let us take the second scenario where you can add the booking to the existing order. So select the 2nd option of Create Order which is Assign this booking to an existing order with this ID. Here the Order ID is the ID of an existing order in which you want to add the new booking to. Here there are 2 bookings added in one order. The Order notes section shows that Canon Camera Lens product was added manually to this existing order. That’s it! It’s pretty simple to manually reserve services with WooCommerce. Our Booking & Appointment Plugin for WooCommerce provides a complete solution for both ways of reservation of services, maybe online or manual. You can follow the above mentioned steps and reserve services manually for any product available on the WooCommerce store with much ease and comfort. It will not take more than 10 minutes to complete the manual booking if you are trying it for the first time.